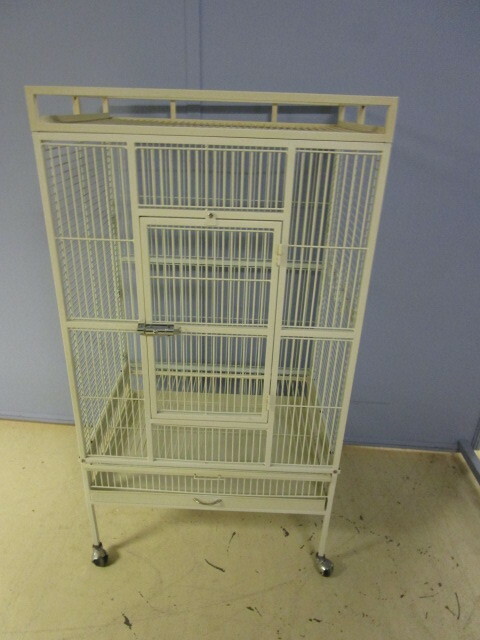 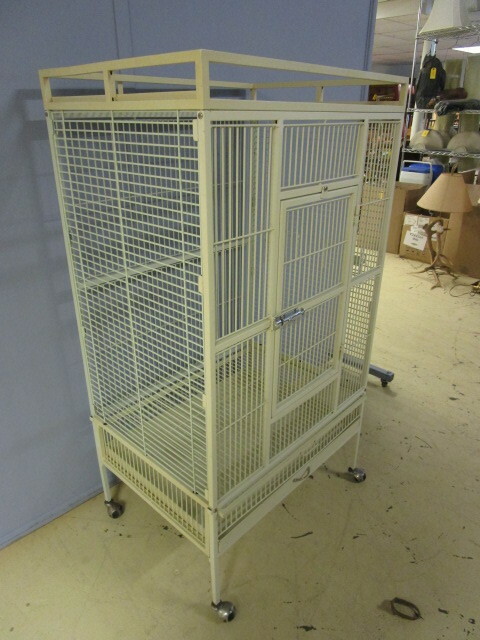 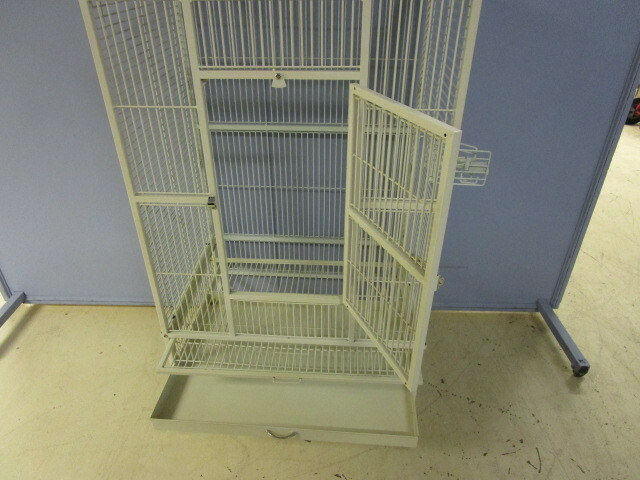 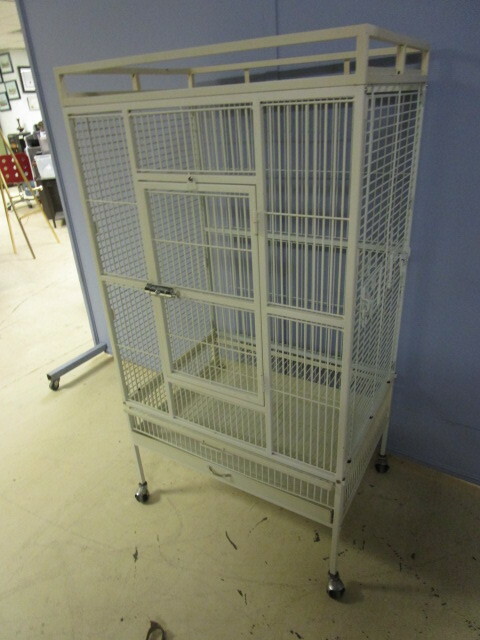 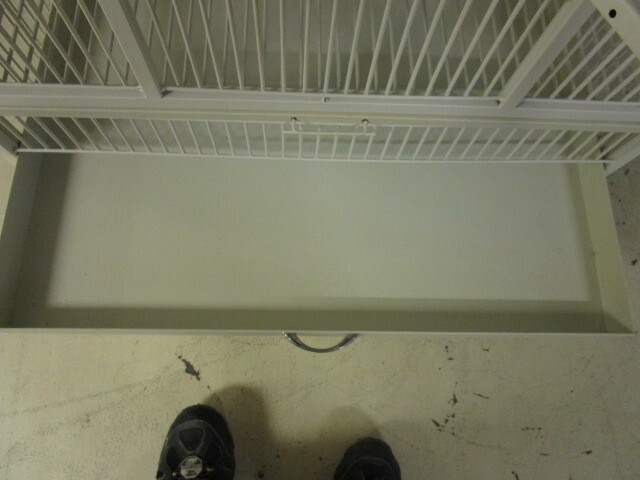 This metal bird cage is like new and never been used. 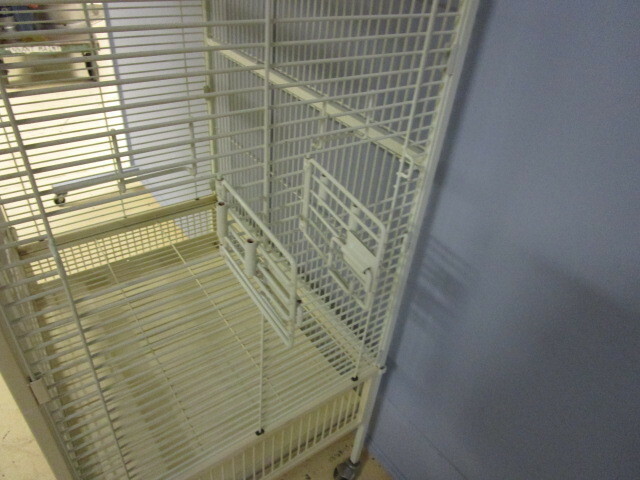 It has a push button lock on the front door with a top stop as well as side access doors for food and water. 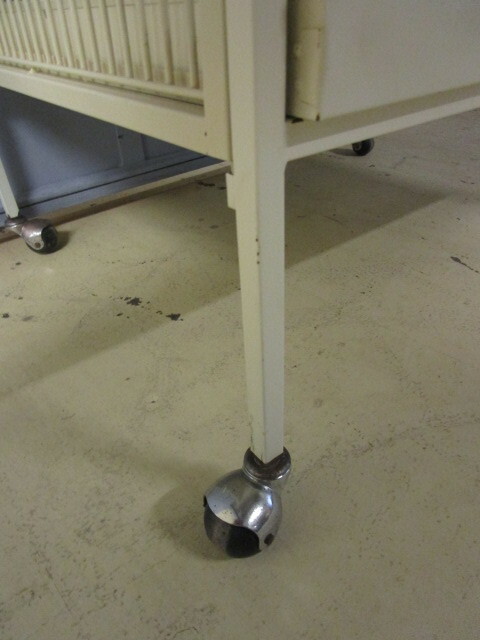 The caster wheels on the bottom do not lock. 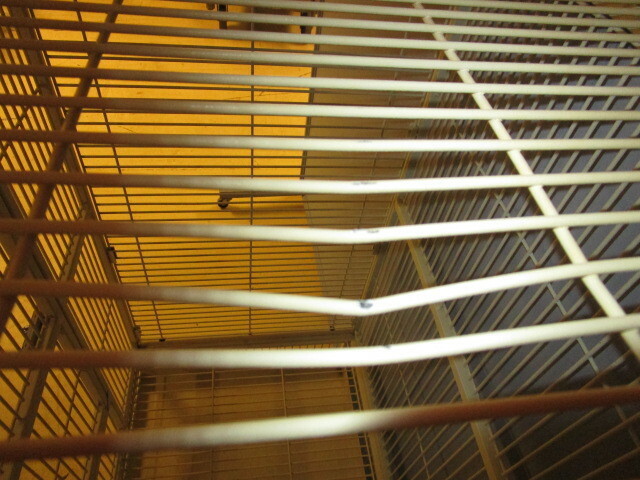 Has a dent in the bars on the top.